What's the largest multinational of Europe? There is no other that produces so much food, provides us with so many services and products, and offers so many jobs... IT'S NATURE! "Green Infrastructure" is a strategically planned network of high-quality green spaces and environmental features. The Danube River Delta is home to a rich and diverse range of species and ecosystems. Recent studies show that in Europe, almost 1000 protected habitats and species are still severely threatened. Invasive species represent one of the leading threats to biodiversity in Europe. This video is being released to coincide with the publishing of the G8’s Economics of Ecosystems and Biodiversity (TEEB) final report. Africa, the Americas, Asia and Australasia all conjure up images of boundless natural landscapes, untouched by human activity. But what about Europe? In July 2009 the Commission published a report on the conservation status of over 1000 species and 200 habitat types that are protected by EU law. By devoting 20% of its territory to nature, the European Union wishes to put a stop to the erosion of its biodiversity. Some 42% of Europe’s native mammals are threatened with extinction, 43% of birds, 45% of butterflies, and 52% of freshwater fish. 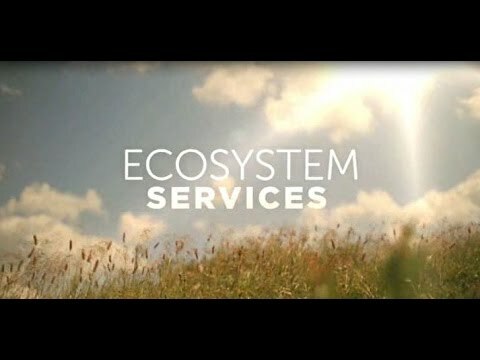 Preserving and restoring the biodiversity and ecosystems of different habitats, from the countryside to mountains to the marine environment, is a major objective for the European Union. Europe is a continent of breathtaking natural beauty and dramatic contrasts. Commonly referred to by its acronym of CITES, the Convention on International Trade in Endangered Species of Wild Fauna and Flora is a long-standing international agreement adopted in Washington. On 17 October 2008 the European Commission published a communication intended to protect the fragile ecosystems of the deep sea. “Flying Over Natura 2000” project in 2006 created a series of TV clips aimed at discovering the Natura 2000 network via the migrations of black storks. During their long journey, selected storks were fitted with radio transmitter so that they could send a “postcard”, or small TV clip, to television viewers. These clips showcase some of the Natura 2000 sites they have flown over.